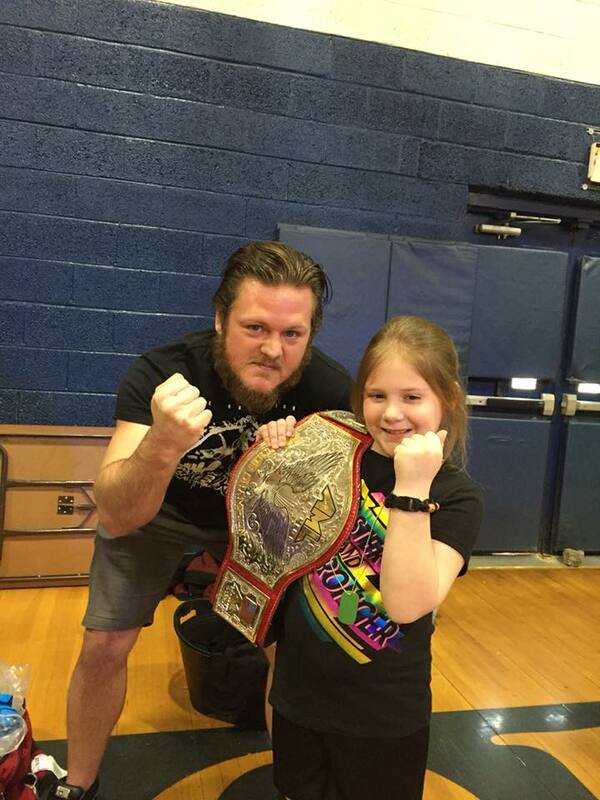 WINSTON-SALEM, N.C. - April 2, 2018 - PRLog -- Seize The Moment, featuring The Stars of AML Wrestling, was held in front of an energetic crowd at Yadkinville Elementary School in Yadkinville, NC during an AML Wrestling Network TV Taping on Saturday, March 31, 2018. Here are the official results. The night kicked off, as usual, with a match from the Future Stars division. Dave Dawson, representing The Xpendables, vs Bobby Ballantyne. - "The Unpredictable One" Damien Wayne pins Joshua "Real" Cutshall. - Extreme Horsemen (CW Anderson & Preston Quinn) defeated The Revolt (Jake Manning & Zane Riley). - Jason "The Gift" Kincaid defeats "Mr. Excellence" Brandon Scott. - Montana Black beats "Gifted One" Yahya in a Last Man Standing match. - Prestige Champion Caleb Konley retains against Jason Cade. - "One Man Riot" Zane Dawson (c) pins "The Renegade" Axton Ray in a triple threat match that also included "Built To Self-Destruct" Billy Brash to retain his AML Wrestling Championship. The Future Stars of AML Wrestling move from the pre-show to the main stage for the first time and are showcased for an entire event on Saturday, April 14, 2018 at Chestnut Grove Middle School in King, NC. Special Appearance by AML Wrestling Champion Zane Dawson who contractually has to give one member of the Future Stars division a title shot. Who will it be? Meet the Stars at 5:30pm. First Match at 7pm. Tickets from only $12 each with kids 10 and under FREE with a paid adult. Buy tickets NOW at https://amlwrestling.com/get-tickets OR at the door the day of the event while they last. Don't miss out on history! Be there on April 14th as our Future Stars division has their first event! We support and showcase rising talent because the future is now...the future is in our rising stars! This is a fundraiser for the 2185 Chestnut Grove Middle School and Poplar Springs Elementary School in King, NC. AML Wrestling returns to the East Davidson High School Gym in Thomasville, NC for a family-friendly taping for the AML Wrestling Network on Sunday, April 29, 2018. Meet The Stars at 2:30pm with the First Match at 4pm. Featuring the AML Wrestling debuts of Fallah Bahh and Kiera Hogan with AML Wrestling Champion Zane Dawson, AML Wrestling Prestige Champion Caleb Konley, AML Wrestling World Tag Team Champions The Heatseekers, The Geordie Bulldogs, The Heavenly Bodies, Chris Payne and many more of your favorite AML Wrestling Stars. Online ticket sales available to buy NOW at https://amlwrestling.com/get-tickets/ or buy them in person at East Davidson High School in Thomasville, NC. Tickets will also be available at the venue the day of the event WHILE SUPPLIES LAST. Tickets start at only $13 each with each child 10 and under FREE with a paid adult. This fundraiser for the East Davidson High School Booster Club is a family-friendly taping for the AML Wrestling Network.